Picture the scene, wall to wall trampolines as far as the eye can see, all connected together to form one huge bounce arena. Picture the scene, wall to wall trampolines as far as the eye can see, all connected together to form one huge bounce arena. 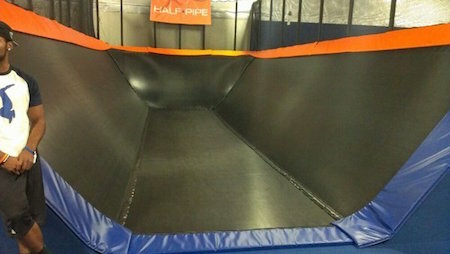 Now imagine angled trampolines forming the sides so you and your friends can literally bounce off the walls! This is what you will find at Jump Nation, the UK's very first indoor trampoline park. £8.95 for the first hour and £5 for an additional hour. Payable on the day.